Hi friends, today is the last day of the release in review segment for the May release. I have 2 cards today. The first one is almost one layer. 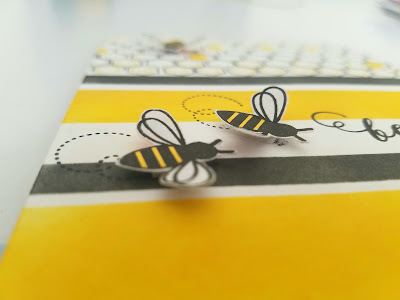 I first did some masking and inking of the stripes in yellow and black. Then I used the hexagon stamp and stamped the rest of the card, I added some more corordinating stamps in there. The bees are fussy cut to add around the card, using a foam adhesive. 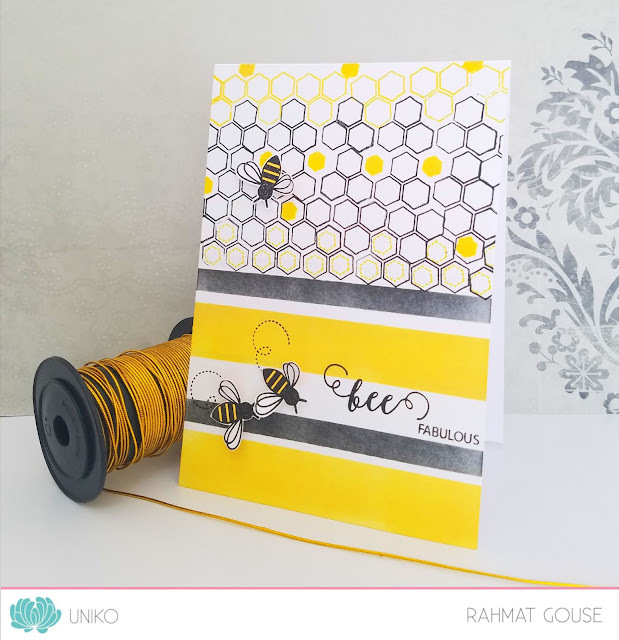 I used distress oxide fossilized amber and used the honeycomb stencil to ink it up. 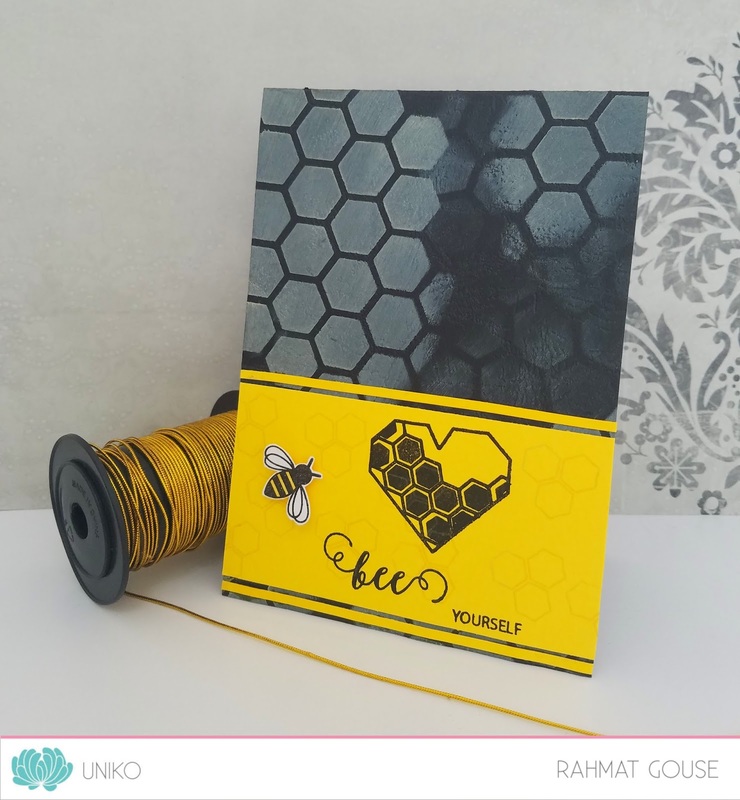 I stamped the heart stamp on a yellow card stock in black and added strips of the same for fun.